It's hard to think of a worse time for a Chinese manufacturer to launch a U.S. sales campaign, but that's what Guangzhou Automobile Group hopes to do with its Trumpchi brand cars. And no, Trumpchi is not a play on President Trump's name, it's basically a phonetic rendering of the brand's Chinese name. It seems a logical step to GAC, as the company is known. After all, American automakers sold nearly 3 million cars in China last year while Chinese automakers sold next to none in the United States. Volvo is now a Chinese-owned company but is still viewed as Swedish by most consumers. State-owned GAC is not exactly a naive newcomer to the car business. It has for years jointly produced Toyota, Honda, and FCA brand vehicles for sale in China and launched its Trumpchi brand in 2010. 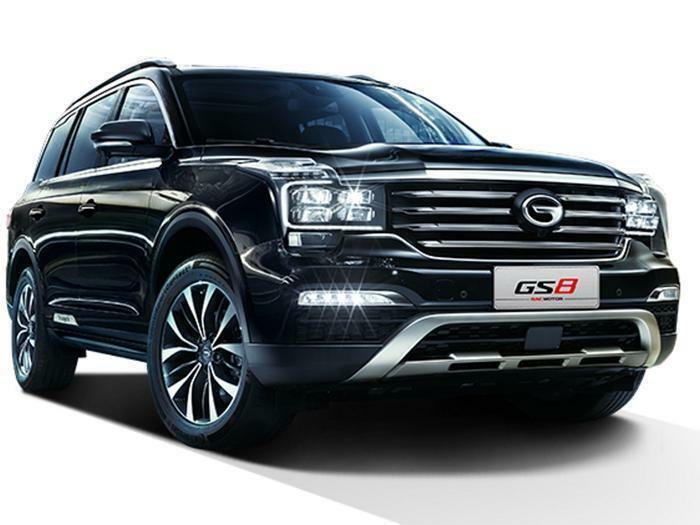 Its Trumpchi GS4 SUV, which sells for about $14,600, is the second-best selling SUV in China. It's said of New York City that one who makes it there can make it anywhere, and that's sort of how GAC feels about the U.S.
"If we make it work in the U.S., it'll help us with our international expansion and greatly enhanced our brand image in all markets," said GAC President Feng Xingya, according to a Bloomberg report. Carrying forward the philosophy of “Make Excellent Cars for the Loved Ones and Let the World Full of Love”, GAC MOTOR has integrated global advantageous resources and adhered to forward development and world-class quality, committing to developing world-class cars of its own brand that can fully meet user demand and achieve Chinese consumer’s driving dream. The company showed some of its models at this year's Detroit Auto Show, and while it didn't exactly take top honors, one columnist for Car and Driver said it at least wasn't a "horror show." Chinese automakers haven't had much luck breaking into the U.S. market, where safety and air quality regulations can be a bother. But GAC says it's up to the challenge, with Trumpchi cars winning five-star safety ratings as well as ranking first in J.D. Power initial quality studies in the Asia Pacific region. Feng says Trumpchi will continue building its cars in China and shipping them to the U.S. until it achieves sales of 200,000 vehicles per year, at which point it will be economically feasible to begin building them in America. No doubt there will be setbacks, but Feng says the company is confident its plans will eventually pan out. Quoting a Chinese proverb, he told Bloomberg: "When water flows, a canal eventually forms."